Send Orchids anywhere in Ireland. There is not a single bloom in existence that can touch upon the refined beauty and elegance of orchids. 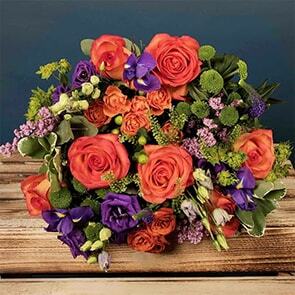 Their unmatched grace make them the perfect bloom anytime you wish to leave a lasting impression, whether you’re offering them in remembrance, brightening someone’s day, or celebrating an occasion. At Bloom Magic, we believe that the orchid’s natural sophistication and sweet aroma speak for themselves when incorporated into a design properly, which is why we use only fresh-cut blooms in our bouquet and hand-tie each arrangement. This not only provides a superior presentation, but ensures each bouquet remains stunning for a full week after arrival- guaranteed. 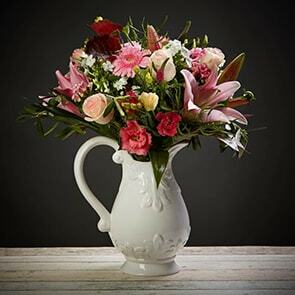 Take advantage of our next-day flower delivery Ireland or same-day flower delivery Dublin and have a lovely bouquet hand-carried to any recipient whenever the moment calls for it. With an unerring eye for design, our floral experts continuously update our catalogue, providing a wealth of exclusive offerings to appease those with the most discriminating tastes. We place the utmost care on even seemingly minor details, such as avoiding excess packaging and focusing on a naturally-stunning presentation, and incorporating local blooms as much as possible, ensuring that our bouquets are exceedingly beautiful and last an unexpectedly long period of time. Should you wish to customise your gift further, include a personal note with your own sentiments, an attractive vase, or delectable assortment of chocolates. 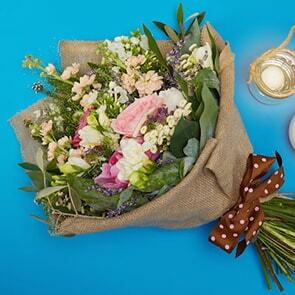 We want you to be as pleased with the ordering process as your recipient is delighted with the bouquet you select. Should you have any questions, our representatives are on hand by email, phone, and live messaging. 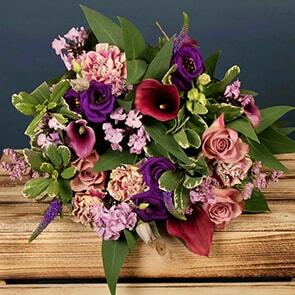 However, you can rest assured that a luxurious bouquet will be handcrafted upon your request, delivered to the recipient straight away, and backed by the Bloom Magic Quality Guarantee, even if we never speak.